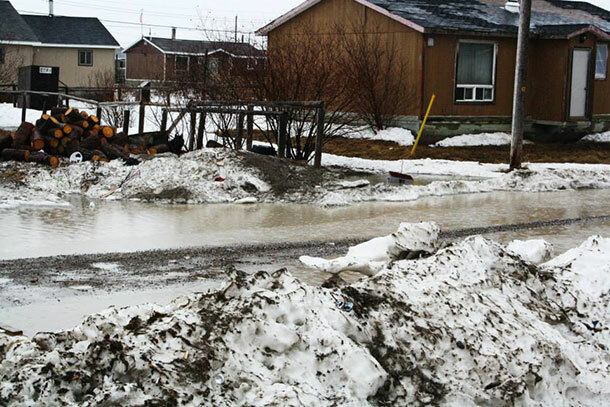 THUNDER BAY – Cat Lake First Nation is facing a serious housing crisis. Homes in the remote northern Ontario First Nation have serious mould issues, according to experts, 62 homes in the community are beyond repair and need to be demolished and rebuild. Chief Matthew Keewaykapow of Cat Lake First Nation called a state of emergency on January 16, 2019, after all of the communities efforts to work with Indigenous Services Canada appeared to be stalled. Chief Keewaykapow and his team have been working toward seeking solutions to the community’s problems. They have been trying hard to work with ISC officials. Over recent months, they have been expressing their concerns that they have only found “unrelenting barriers” and “outright refusals” from officials from the federal government toward reaching the needed solutions. 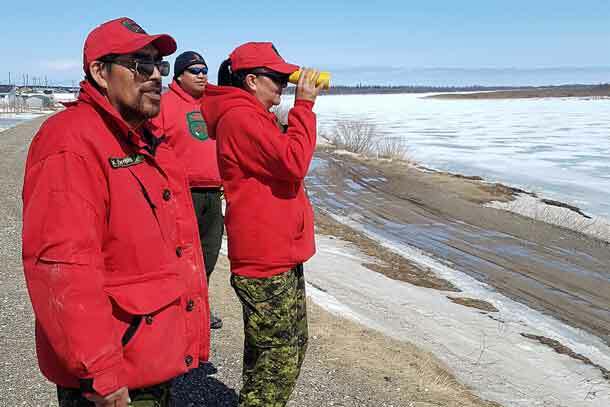 MPP Sol Mamakwa and MP Charlie Angus travelled to Cat Lake First Nation to find out first hand what the reality is for residents of the community. “The federal government can overspend BILLIONS on a piece of outdated infrastructure but continues to refuse to prioritize First Nations housing. Continues to make weak excuses when the truth is that the attention of the PMO is more focused on corporate bailouts. Making the rich richer, and protecting them when they do wrong,” states Angus. Indigenous Services Minister O’Regan has agreed to meet with Chief Matthew Keewaykapow, first in Thunder Bay, and then follow up with a meeting in Cat Lake First Nation where the Minister can see for himself the seriousness of the situation. In recent weeks, Cat Lake First Nation has been relentlessly attempting to openly and honestly discuss and obtain commitments from ISC regarding our State of Emergency, declared on January 16th, 2019. 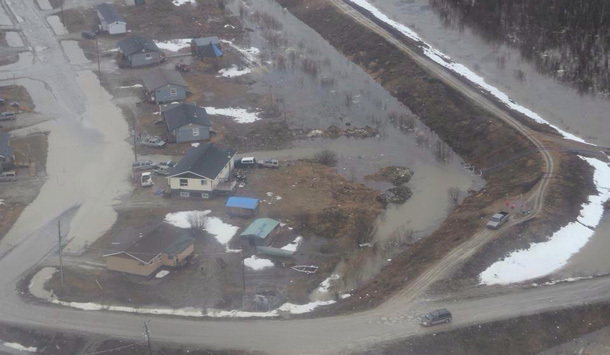 The State of Emergency was seen as one of a “last resort” steps taken due to the severely poor condition of housing within Cat Lake First Nation because of underfunding and outright ignoring of conditions in Cat Lake by ISC personnel and officials. Your department was given ample time and information to begin earnest negotiations in good faith to end the horrid conditions of housing in our Community. People being reduced to sleeping in a neighbour’s bath-tub due to lack of housing. People being subjected to a constant barrage of health issues such as skin irritations and infections, lung infections, pneumonia, respiratory infections and multiple other difficulties including the requirement of dialysis due to kidney failure…which is caused in these cases by excessive pneumonia incidents, due to the mold in the housing which causes a serious reduction in the immune system capabilities…in essence, a trickle-down effect resulting in serious life-threatening health breakdown. When Cat Lake Council decided to tackle these problems head-on, Council’s appointed representatives were met with unrelenting barriers, outright refusals to discuss with representatives despite multiple letters of direction from myself, and multiple communications with your department. How interesting it is that your department refuses to meet with anyone or speak with anyone but me, while on the other hand, Cat Lake Chief and Council has little to no access to meet with you face to face in order for you to understand first-hand the trials and tribulations as well as the brick walls that have been placed in our path blocking correction of the wrongs that have been experienced by Cat Lake First Nation. With that being said, I, Chief Matthew Keewaykapow of Cat Lake First Nation, specifically and officially invite you to personally meet with myself, my council and our advisors and technical people to discuss and strategize solutions of the requirements, provided information, and background of this State of Emergency existing in Cat Lake First Nation. We will adhere to the agreement as originally decided in person on January 31, 2019, to have an update from your staff on the forward movement of this file. This was to be an in-person meeting in Cat Lake on February 61 2019 but has been delayed to February 7th via conference call. I remind you that it was extremely difficult for Cat Lake to get to meet with anyone with the purported ability to make decisions…it took more than 2 months to meet with ADRG Michael O’Byrne and that was only agreed upon after our representative at my direction made our requirements completely clear to your immediate staff that meeting with only low­ level and technical staff was not our preference. We needed to meet with someone with the ability to commit to getting to an agreement. Cat Lake’s appointed advisor and team lead Gerald Paulin, as confirmed in writing to ISC by myself and who is well-known to ISC, completed his part of the presentation which was the costings for this emergency and the options and reasons why and how Cat Lake will work with the Government of Canada to rectify this inequality, this amazingly disastrous health and safety emergency. With all due respect from one Government official to another, we honestly need to cut through all of the red tape that comes with an Emergency such as this. A face to face meeting will result in an understanding between the Government of Canada and Cat Lake First Nation, by which Canada must commit to immediately ending this emergency which is literally killing people in Cat Lake and is causing a huge expense in med-evacs and the health department, which is now under your purview. The reduction in med-evacs in Cat Lake alone is estimated to reduce costs by more than $2 million annually. Your department(s) will experience an ability to operate efficiently and experience significant reductions in uncontrollable expenses. This housing emergency has morphed into a very serious health emergency as well. The concern, in the beginning, Included the health of people, and only now are we discovering the depth of the quagmire of problems caused by mold. I also implore you to ensure that your staff is giving you the truth, the whole truth and nothing but the truth. The Prime Minister stood in the House of Commons and spoke about a “long term water advisory” in Cat Lake being lifted. While on the outset that is true, it was not made clear that the “long term water advisory” was for only one building that was not utilizing the CLFN water and sewer systems. The long term water advisory did not affect the Community of Cat Lake. Clouded statements such as these are seen as a misstep by advisors and staff to Government Officials. Mr. Minister, I am trying with my Council and my representatives to ensure that Cat Lake will not have to evacuate. We do not wish to encumber Canada with another huge expense only to achieve the required end that we have already discussed. We are interested in saving money for the Government. We completely understand budgets and fiscal restraints. We have been the object of shrinking budgets and lack of support for long enough to have first-hand experience. The proposals have been quite clear. 1. The need for an evacuation is immediate. c. Evacuate immediately into a “tent village” with the Canadian Military. ii. Can your Government afford such a black eye In an election year? iii. Can your Department afford sanction by the UN? iv. Can your Department afford yet another scandal such as Attawapiskat? 2. Any such non-compliance with agreements will not be met without fervour. Demolish the homes…with the residents taking only their electronics, their private possessions and clothing…the balance going into an expanded landfill for burial so as the mold spores will not be transferred to the temporary housing. Build new homes over an additional 2 year period…92 houses. The other 32 homes will be renovated and remediated over a short period of time to be discussed. afterwards…and the ground heaters…and the helical piles used as foundations…and the potable water tanks..and the septic holding tanks…we will discuss all of that at our meeting. We are extremely positive that you will be pleased with our plans. The short term housing…trailers…requires immediate cash…that must be appropriated immediately. A month is too late. The rebuild of the 92 demolished houses and the renovation of the other 32 houses is another story…but our representatives do have a plan on how to be innovative in the financing of this rebuild. Mr. Minister, I respectfully implore you to meet immediately with myself, my Council and my Advisor(s) in order to get on the right track. At the same time, I implore you to understand the realize that time is of the essence. Our winter road will not last long…Mother Nature has a way of bringing Spring and the season of melting no matter how much we pray to extend the transportation season to our remote Community. Materials and equipment integral to this project have deadlines to be ordered to be able to have the proper infrastructure in place to not fail. As an example, the supplier of the fabric-covered warehousing is discussing a decision date of February 11 th in order to meet out delivery requirements. We look forward to meeting with you well before the 14th if you can….time is not our friend. Finally, during your phone call directly to myself and Derek Spence, Head Councillor a couple of days ago, you requested a clearer picture with firmer numbers for the project as a whole. Our representatives have been working diligently to have these numbers in your hand as of later today, so that we can all be informed prior to tomorrow’s rescheduled meeting at 2pm EST. You will be provided with a spreadsheet detailing costs as well as quotes and copies of available equipment and costing to reach the urgent timeline. We look forward to our discussions tomorrow, and formally invite everyone on the CC list to attend this very important meeting, and the next face to face meeting with yourself to finalize many details and get the emergency temporary housing moving over our winter road before closure.